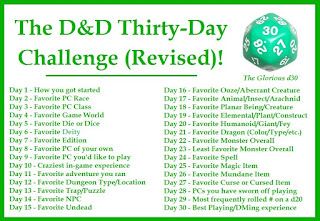 Creative Mountain Games: CMG Extra - "PCs you have sworn off playing" Day 28 of The D&D Thirty-Day Challenge! 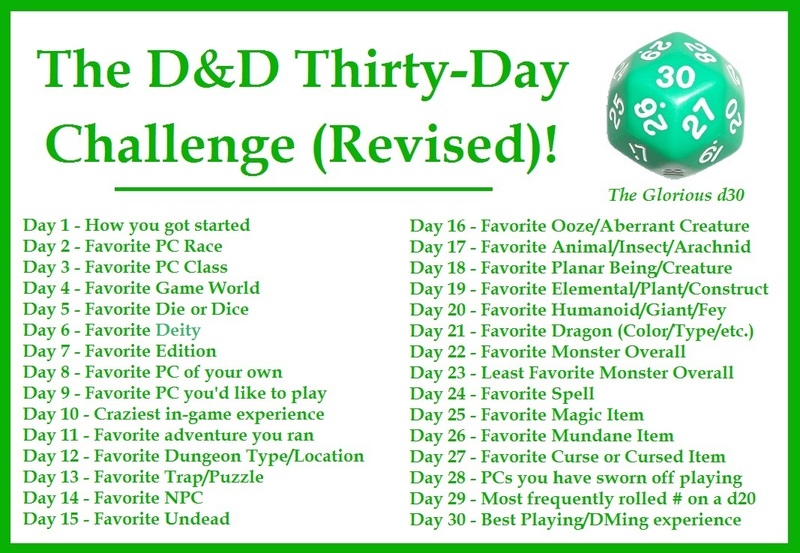 CMG Extra - "PCs you have sworn off playing" Day 28 of The D&D Thirty-Day Challenge! This one is kinda easy but has a few answers. Firstly, I don't play "Evil" characters when I am a player. I feel "Evil" is for the DM to utilize for villains and monsters when I DM, so I keep to the same philosophy as a player. I also don't play cross-gender. While I do so when I DM, as it is necessary, I feel the pitfalls of playing a character that is not the same gender as the player typically leads to cliches and stereotyping, so I avoid it. I also don't play monks. 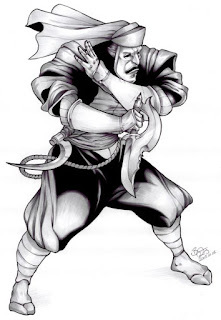 I prefer Western European Medieval Fantasy and Monks just don't fit, in my own opinion. Assassin might be used in Western European settings, but since they are "Evil" I still don't play those either. It's not really a huge list and to those that don't agree, that's your call of course.